High Noon Holsters is offering the total package. Choose any holster, any magazine carrier, and any gun belt and save 20% on your purchase. 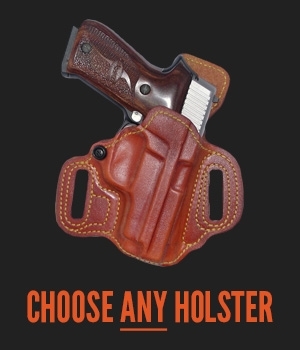 For those who support the 2nd Amendment and the right to legally carry a concealed firearm – or open carry for those who are fortunate enough to live in an open carry state, you understand the importance of having a high quality and reliable holster. However, what about your belt? What about the option to carry an additional magazine - or two? You can purchase a high quality holster but what about the belt you are using to secure the holster? Some use a regular belt but soon find out that the belt starts to sag or cannot properly secure the holster. Having a reinforced belt is important for the proper fit of your holster. To ensure a proper and speedy draw, having a high quality holster and a professionally made gun belt is important. Top off your high quality holster with a professionally made gun belt with an extra magazine or two. To give yourself added piece of mind, slide on a magazine carrier and provide yourself with twice the firepower – if ever comes the time that you needs to protect yourself or the ones you love. 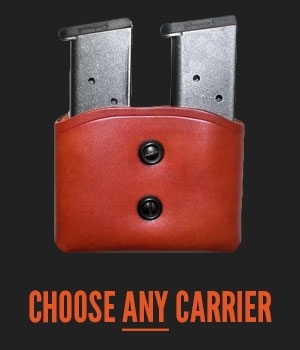 Pick any holster – add to cart. 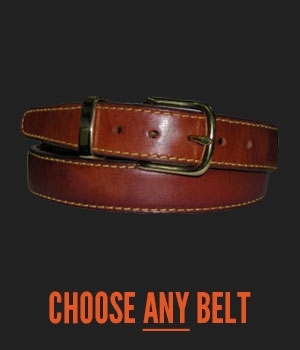 Pick any gun belt – add to cart. Pick any magazine carrier – add to cart. Proceed to checkout and SAVE 20%! That’s it! High Noon Holsters is offering you the best deal anywhere when it comes to a complete gun system. 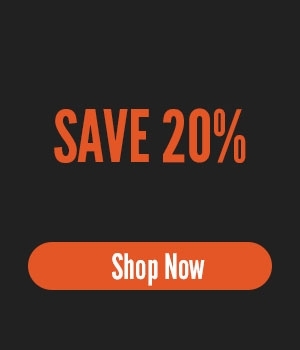 No matter what holster, no matter what gun belt, no matter what magazine carrier, just pick one of each and automatically save 20% at checkout. You make the choice and we will automatically calculate the savings. No coupon code. No promotional code. Just add your holster, gun belt, and mag carrier to your cart and we will automatically calculate the savings. The savings do not stop there! Keep reading! If your gun system package totals $300 or more before the savings is applied, you will receive FREE shipping AND a FREE Rush Service. Try and find a sale like this with any other holster company – a total gun system package that saves you 20% and if your gun system package totals $300 or more, FREE shipping and FREE Rush Service! PLEASE read the ONLY small print - items on clearance or currently on sale cannot be used as part of the Gun System Package. That would make this an INSANE sale! Also, when there is a store-wide sale greater than 20% off, the Gun System Package will not be an active sale. This will ensure you get the best damn deals on the planet! High Noon Holsters wants to be your “go to” company for all your holster and accessory needs. We want you to believe that we are truly the best damn holster company on the planet!